Ah the good old days of breathing in mold and running away from crazy men on Scooters. Today I returned to Southroads for an afternoon career fair our company was holding. I’m not gonna lie – I was really excited to go back. 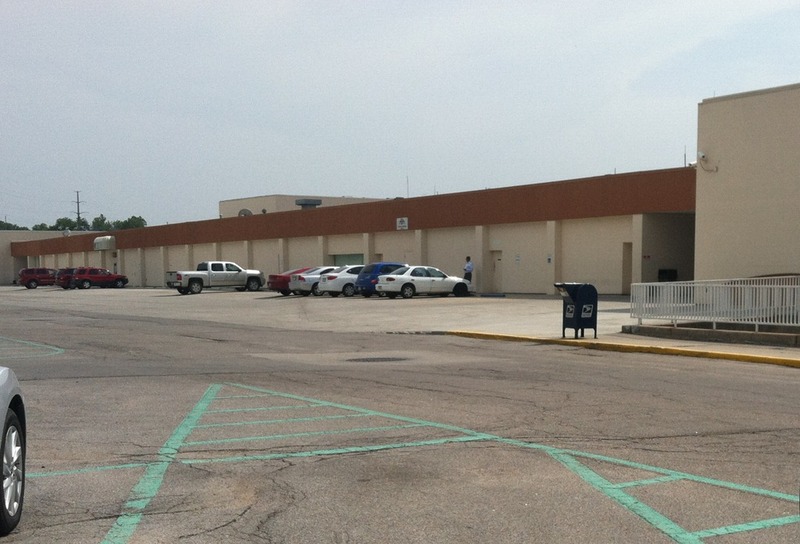 As dumpy and creepy as that mall can be, it will always hold a special place in my heart. Beautiful isn’t it? Don’t you wish this was your home away from home? Nothing has changed there. Walking in the doors was like entering a time warp. Albeit a blurry time warp (I took this pic kinda fast because there were people watching me and I felt silly). 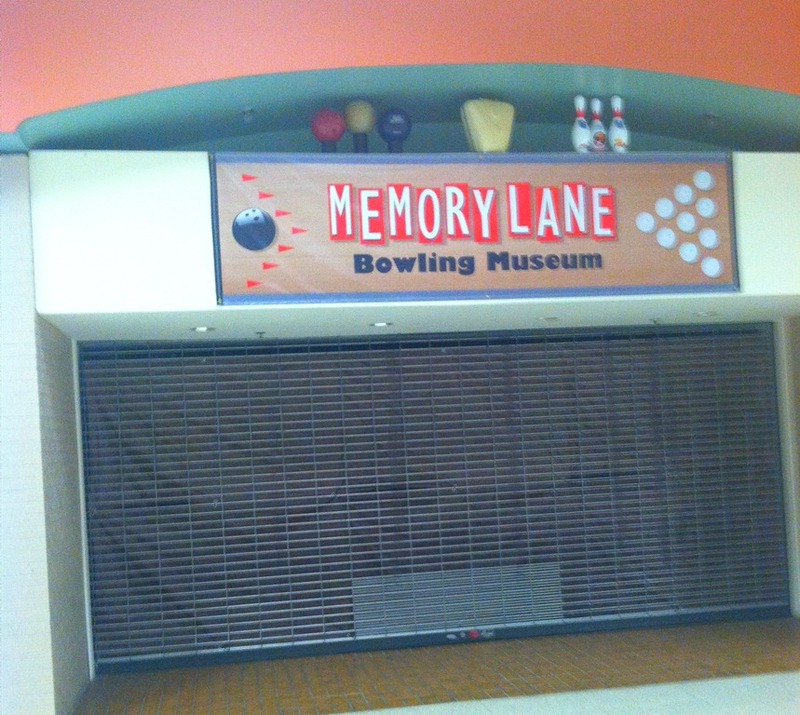 Apparently the Greater Omaha Bowling Association has added this museum. 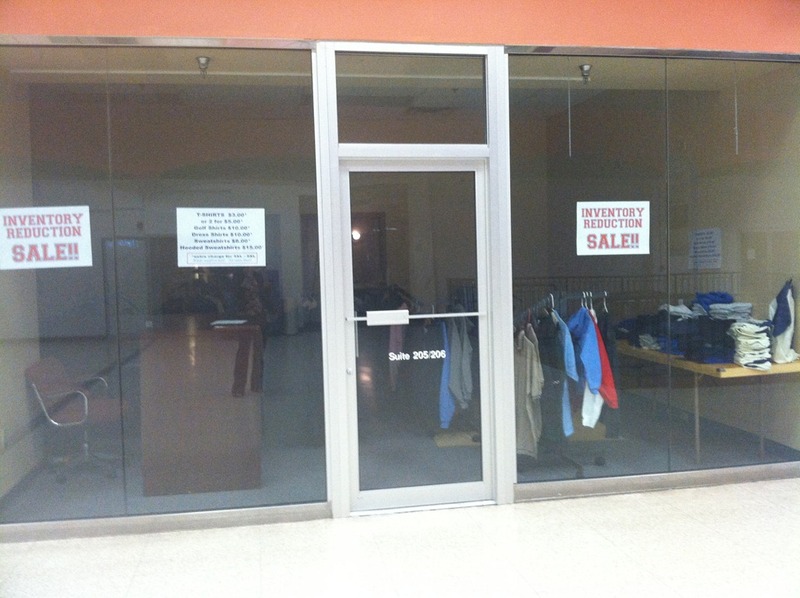 However it doesn’t appear to be open for business yet. 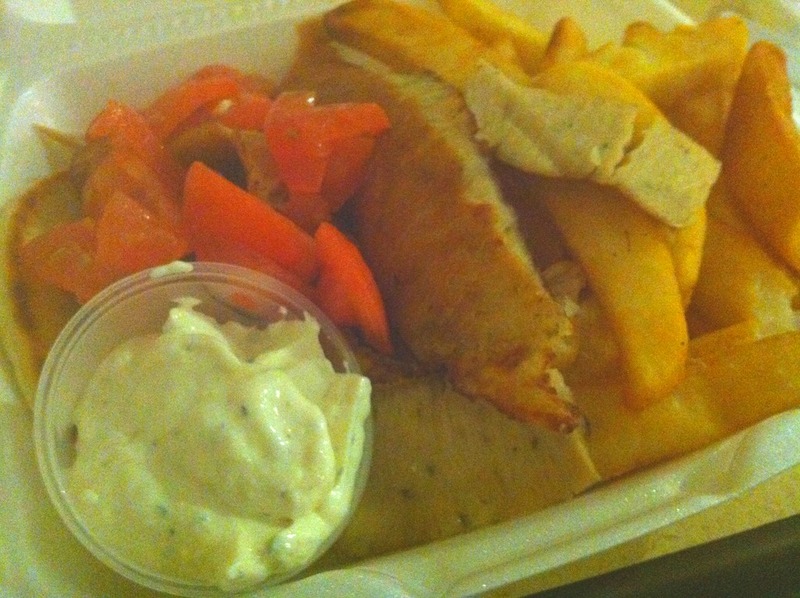 I continued on my way down the hall and the escalators that don’t work to my main destination – John’s Grecian Delight! John was there frantically serving up gyros and burgers (it was actually pretty busy). The food was just as good as I remembered it – greasy and full of love! 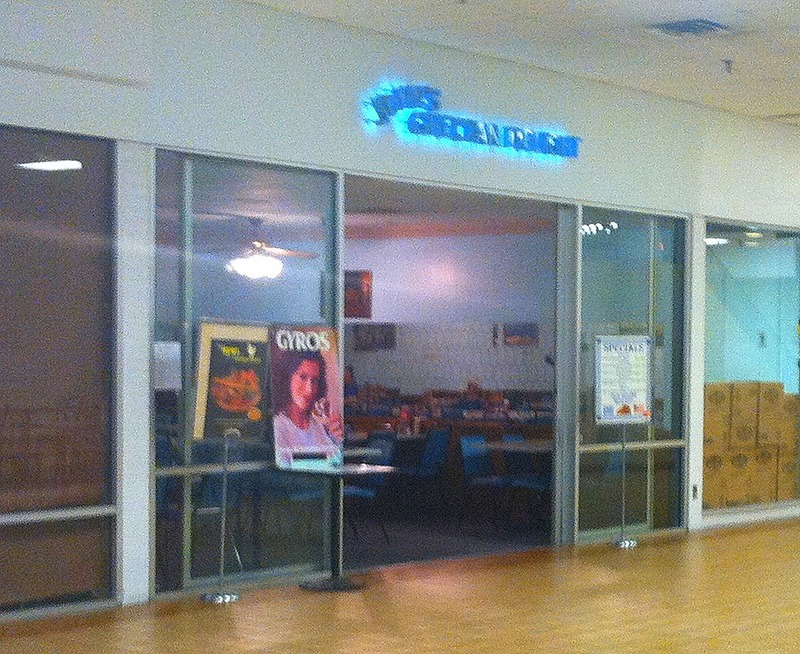 I took it upstairs with me to eat in the “Food Court”. I had been in there no less than 5 minutes when who do I see but Scooter!! He was zipping through the room headed out the back to the creepy bathrooms. I tried to get a pic but wasn’t fast enough. I figured he’d be back through shortly so I kept eating my lunch. 10 minutes went by, then 15. Finally it got to be time for me to leave and Scooter hadn’t returned. He was either having a major bathroom moment or had escaped by way of the elevator. I decided to investigate. I headed back there with the rouse that I was using the restrooms too, as if anyone was paying attention to me. I turned the corner and nearly walked right in to him. He was sitting on his scooter in the middle of the hallway. I said “hi” and then ducked in to the loo. I waited the appropriate amount of time and then came back out. 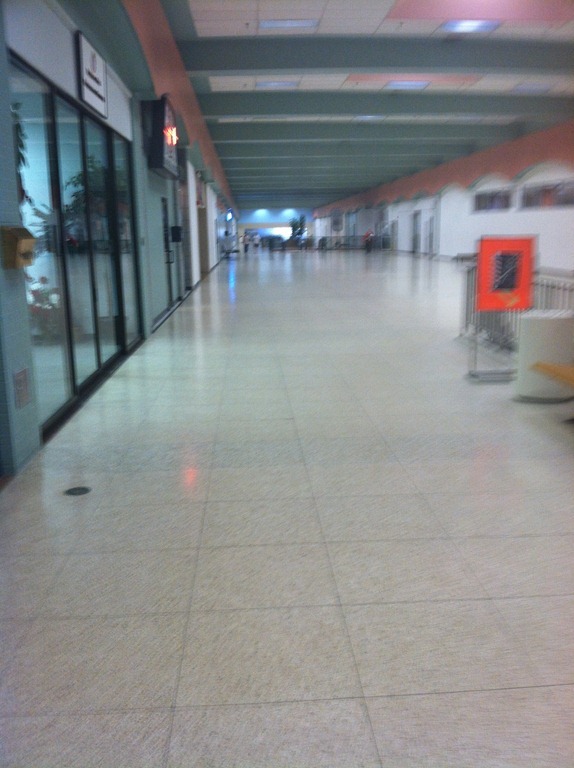 I reversed my footsteps and went back through the cafeteria and out in to the mall. I saw him zooming away. I tried to get a decent pic but I was too far away. This was the best I could do. 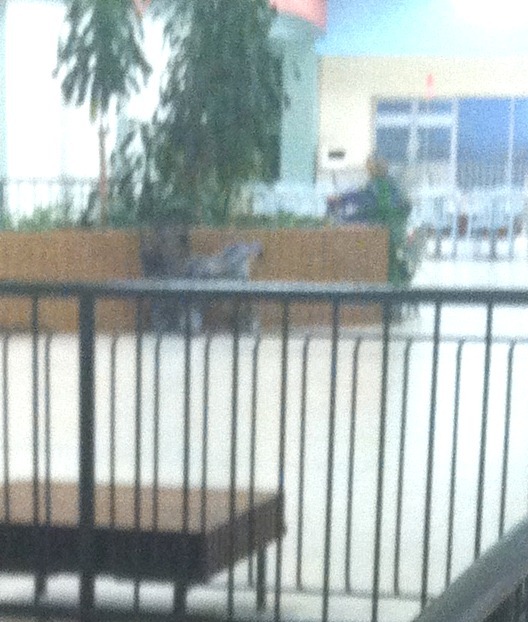 He’s the green blob just behind the short brown wall. See the orange flag attached to the back of the scooter? Also, notice that he is looking right at me? Yeah, he turned around just as I was snapping this pic. Or is that the Loch Ness monster? The t-shirt store is having an inventory reduction sale! Hurry before everything is gone! Nothing too exciting today. No ceiling drips or fainting. Just another day at the Annex!